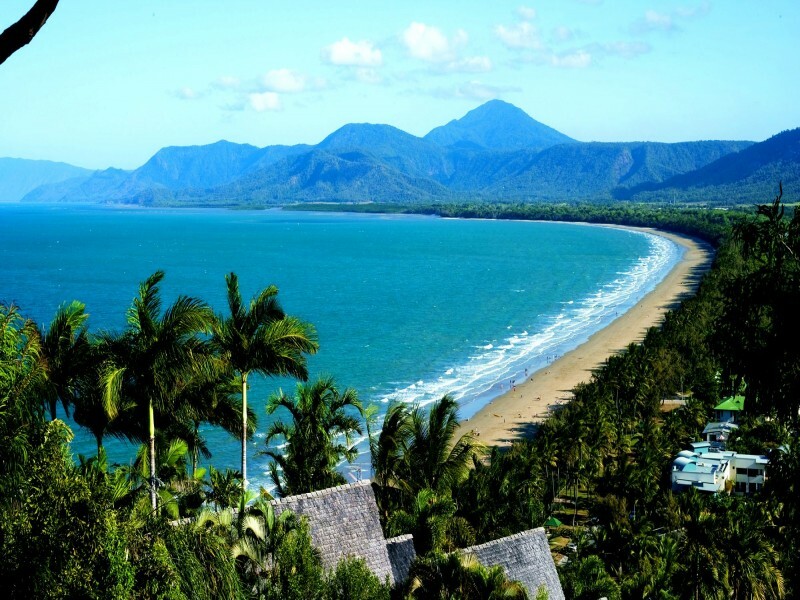 Port Douglas is the tropical reward bestowed upon those who venture an hour north of Cairns along the impossibly beautiful and scenic coastal roads. You’ll know you have arrived when you’re greeted by a pristine strip of palm-fringed white sand, lapped by aqua blue waters and a relaxed ambience permeates through you with an instantly calming effect. 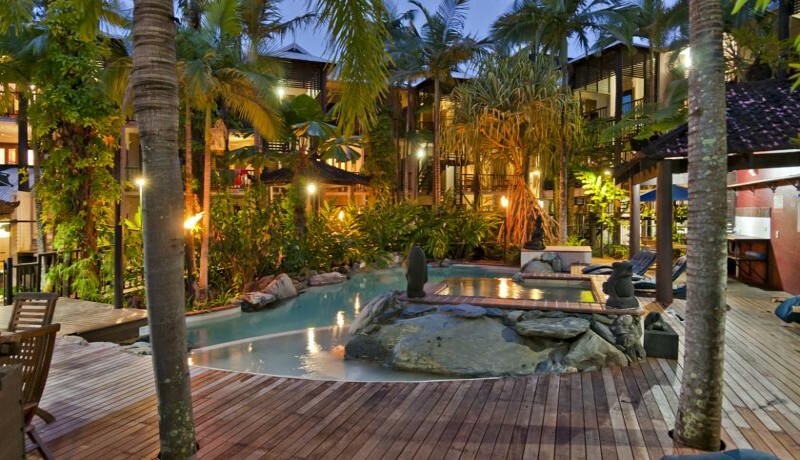 Just like that, Port Douglas will have cast its spell over you. Hiding under the calm waters of the Pacific Ocean, Port Douglas sports one of the 7 Natural Wonders of the World – The Great Barrier Reef. Ripe for exploration via glass bottom boats, snorkelling, diving, and more. Now most would be pretty chuffed with the idea of a picturesque beach town on the cusp of the most beautiful reef in the world – but Port Douglas isn’t done impressing yet. The backyard of this sleepy beachside town is equally as mesmerising, it’s home to the World Heritage listed Daintree Rainforest. The national park sprawls itself for hundreds of kilometres brimming with luscious flora and endemic fauna for you to discover, experience, and enjoy. 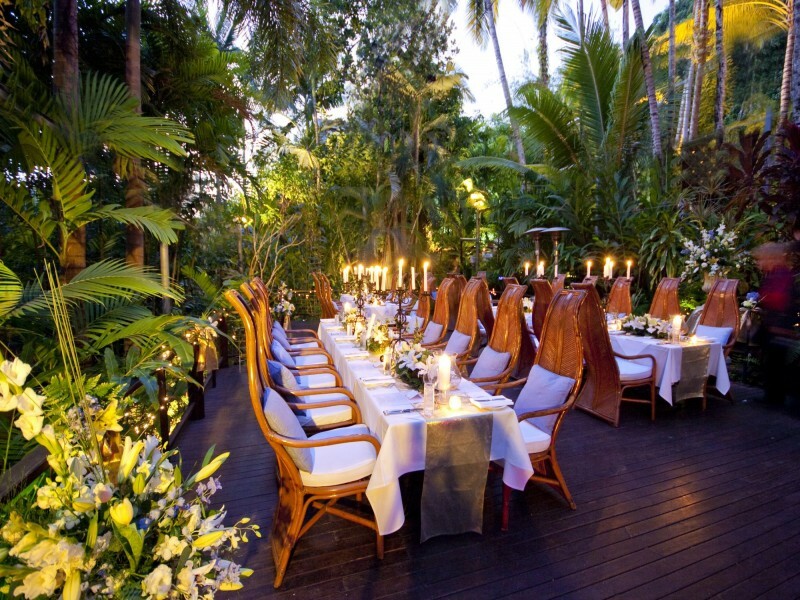 With so much to see and do in Port Douglas, one requires a well-positioned resort, close to the natural wonders, walking distance to the excellent array of dining, but with the atmosphere of a resort that lies far away from every care in the world. Without further ado, we introduce to you, Hibiscus Resort & Spa. This Balinese inspired resort boasts a unique difference to other accommodation; it was artfully crafted by hand with love and care by the original owner. This can be seen throughout the resort from its intuitive design that follows the contour of the landscape to the exotic tropical gardens that help give the resort its relaxed and otherworldly atmosphere, to the little touches that only a well-cared-for boutique resort can offer. 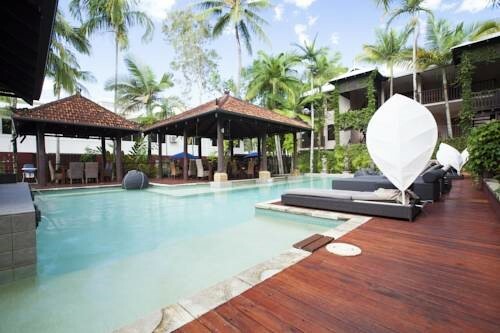 While Hibiscus Resort & Spa is in the centre of town, amidst the action, this well-designed resort is set back from the street, meaning you have your own private paradise in the heart of Port Douglas. The atmospheric, Balinese theme is continued through the spacious studio, studio spa, 1 and 2 bedroom apartments, each of which have a private balcony surrounded by the beautiful rainforest. Studios feature air conditioning, free WiFi, cable TV, and a kitchenette, while the rest of the room types also offer full kitchens and a spa bath with jets. For the mobility impaired, it is important to note, that as the resort is only 3 levels, there are no elevators. Hibiscus are more than happy to accommodate any requests by placing guests on the ground floor or offering assistance to those in higher level rooms. Once you’ve settled into your room, exploring the resort further will not disappoint! Hibiscus Resort & Spa is equipped with two stunning pools whose inviting waters are guarded by ornate stone sculptures and surrounded by rainforest – your very own sanctuary from the everyday. Relax on the beautiful deck surrounding the pools peppered with sun lounges and bean bags which is an extra quirky touch that you will appreciate once you sink into the comfort of a seat that hugs back. To warm things up, jump into the spa, which is heated to a perfect temperature to simply enjoy and let go. 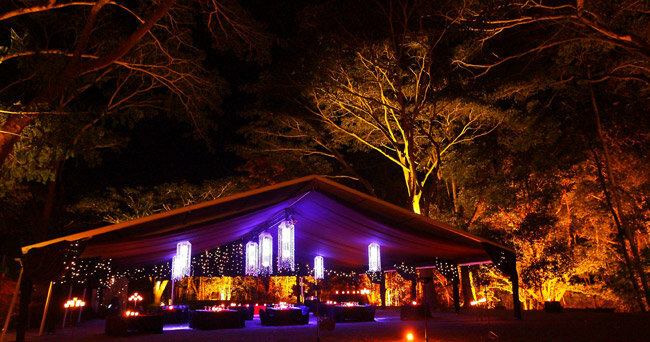 There are also BBQ facilities that are immaculately kept and quite private for guests to enjoy. With a Coles grocery store just down the road, you can pop out for supplies and cook up a storm in your own slice of Balinese heaven. Of course, one of the perks of being in the centre of town is the abundance of restaurants, cafes, bakeries, brasseries and more. One cannot look past the award winning Zinc Restaurant and Lounge Bar just around the corner from Hibiscus. Here you will find an amazing menu for breakfast, lunch, and dinner, all of which is reasonably priced, with cuisine that will not disappoint – and kids dine free before 6pm! Another fantastic option for breakfast especially, is Fresq. This little gem is walking distance from the resort and boasts a breakfast menu to ruin all others along with some of the best coffee getting around. Watergate Restaurant and Bar is a lovely dining experience and is located just off Macrossan Street down a flame lit path. If you run out of evenings to have dinner here, we still recommend popping in for a drink – the cocktail menu is second to none. For a fine dining experience, do not look past Nautilus, this unparalleled restaurant is in the centre of town, but tucked away in the treetops. 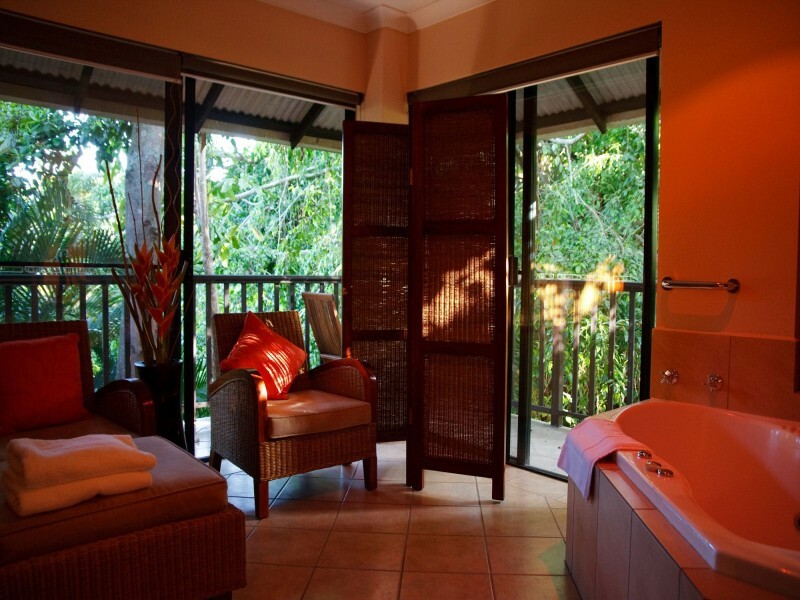 You enter through a hidden walkway that takes you to a deck on top of the rainforest with sprawling views of the tropical surrounds. This amazing ambience is paired with delectable cuisine and a great drinks menu. It is an incredibly romantic experience that we highly recommend to those who enjoy a great night out. 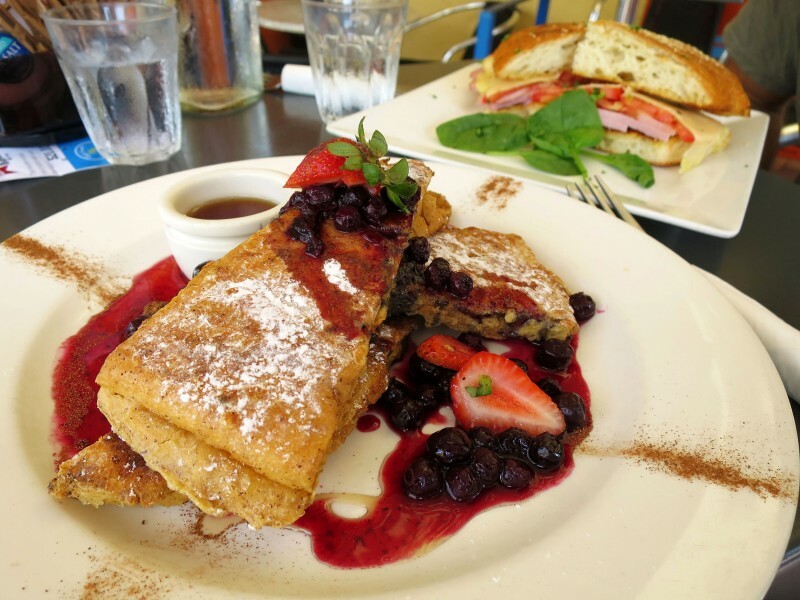 Once you’ve had your fill, there is still plenty more to do in Port Douglas! 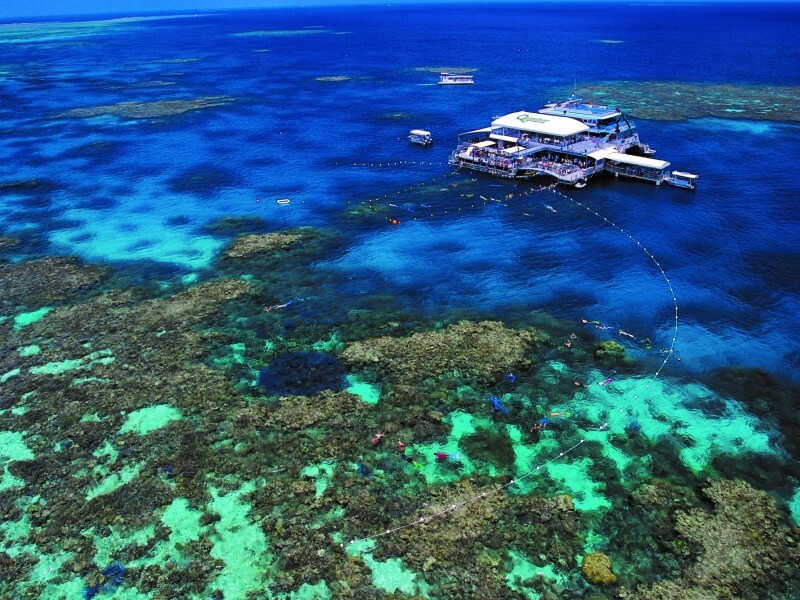 Famous as a base for reef exploration, there are plenty of ways to get yourself and your loved ones out to this wonder. Take a cruise that will allow you to get up close and personal as well as stay dry or plan a scuba and snorkelling expedition with a provider such as Quicksilver. 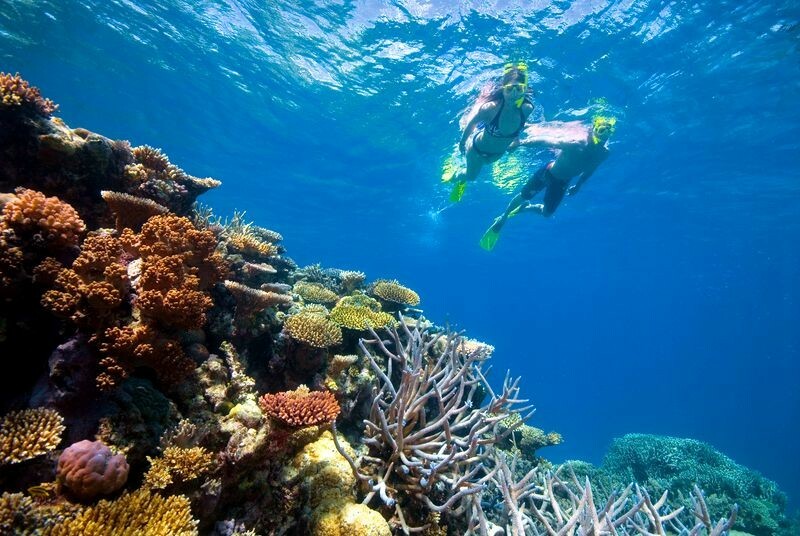 They pick you up from your accommodation, jet you out to the reef in air-conditioned comfort, and allow you to snorkel or dive on the reef and immerse yourself in another world where life shimmers with colour and vibrancy in a safe netted area. You can also try your hand at kayaking, stand up paddle boarding, jet skiing and more in Port Douglas. Water fun is not in limited supply! 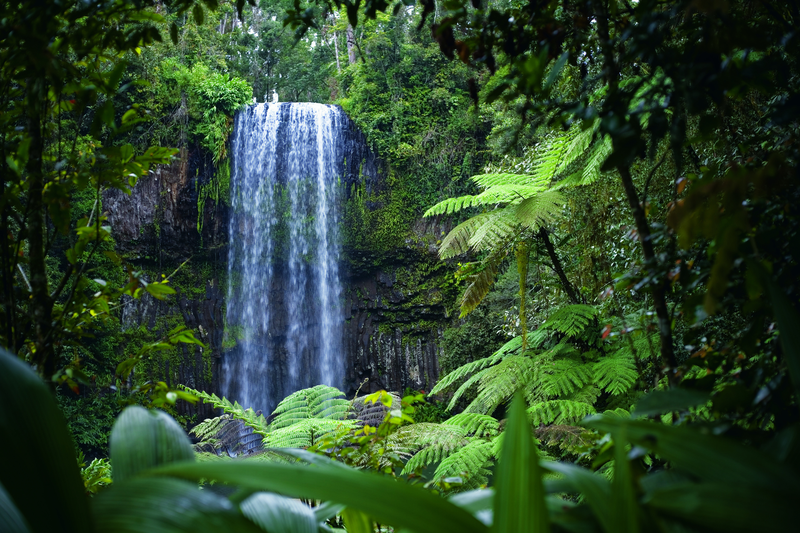 Meanwhile, inland from Port Douglas, the Daintree Rainforest is waiting to enthral guests with its many surprises including the beautiful Mossman Gorge, Cassowary Waterfalls, and Daintree Village just to name a few. There are plenty of walks in varying degrees of difficulty, from easy strolls to all day adventures. Just make sure you pack plenty of water! 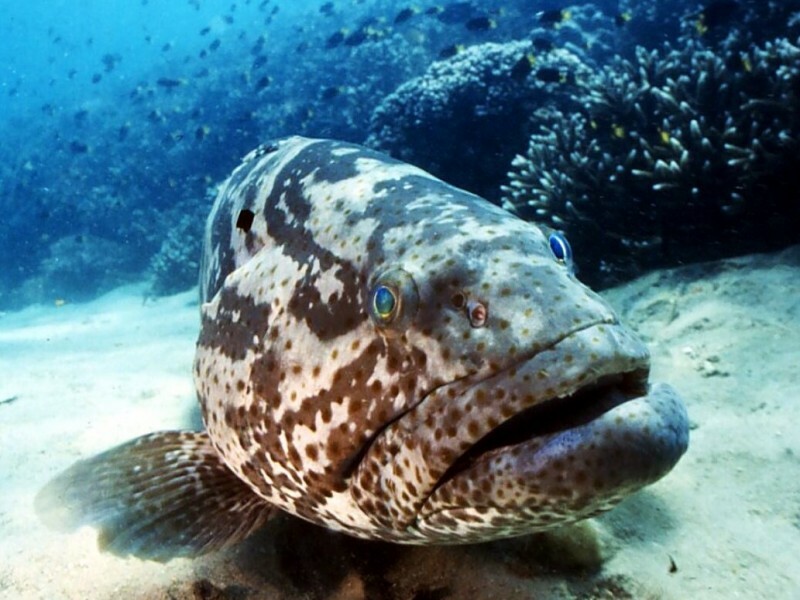 Another not-to-be-missed adventure in Port Douglas is strolling down to the wharf to feed Gorge the Giant Groper. This enormous, 250 kg aquatic local swims by ‘On the Inlet’ at approximately 5pm every day for a snack, so be sure to head down and say ‘Hi’ to George! For a breakfast experience the kids will love, stop by Breakfast with the Birds at Wildlife Habitat situated near the entry to town. Immerse yourself in the wetland environment and flood your senses with the native wildlife meandering around freely, singing their songs while you enjoy a delicious buffet breakfast. Flames of the Forest is another dining experience with an extra touch - a cultural Aboriginal dance performance paired with dinner in a spectacular outdoor ballroom surrounded by rainforest. To search for a unique trinket, there is no better option than the Port Douglas Sunday Markets and the Mossman Markets. You will find exotic gifts steeped in Port Douglas tradition, fresh fruit and vegetables, home wares, clothes, jewellery, art and much more. 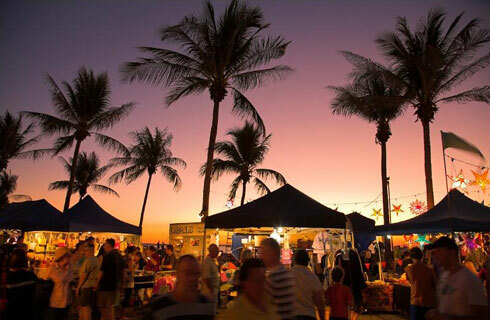 The Port Douglas Markets can be found on Wharf Street in the heart of town on a Sunday, while the Mossman Markets are held on Saturdays next to Saint David’s Anglican Church. Our DQ hot tip is, unless you are planning some extensive exploration outside of Port Douglas, you won’t need the extra expensive of car hire. 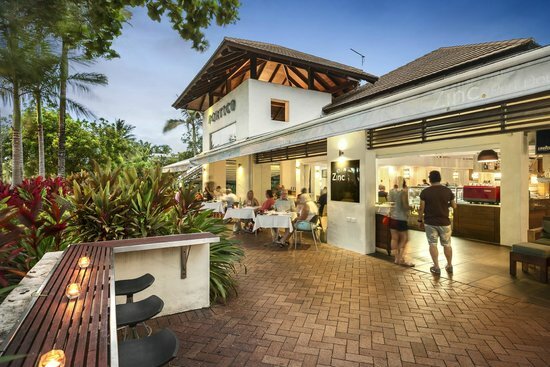 Hibiscus Resort & Spa has a prime slice of real estate in the heart of town, giving guests easy access to everything that makes Port Douglas special. Most activities that are further than walking distance offer transfers, including airport arrangements. Hibiscus Resort & Spa has an ethereal charm that inspires the sixth sense, the sense of pleasure, it is the perfect place to indulge, relax, and enjoy one of the most beautiful and inspiring destinations in the world. 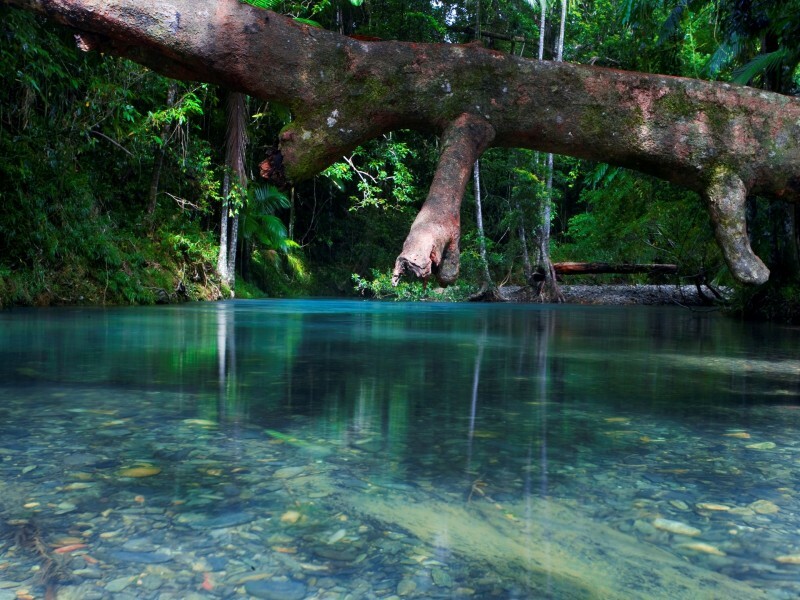 Speak to the experts at Discover Queensland today to discover a world made with one thing in mind, you!